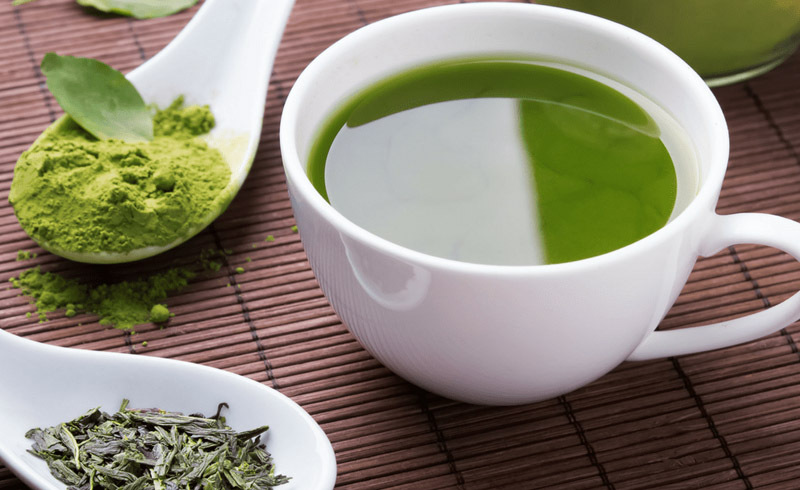 By Kym Votruba, Skinny Ms.
Okay…technically green tea isn’t a food, but when we consider its fabulous contributions to your health, we couldn’t deny it a spot on our superfood list. Eastern cultures have recognized the health benefits of green tea for centuries. Not only is it calorie-free, but green tea is also an outstanding source of antioxidants and has been shown to help prevent and fight cancer. 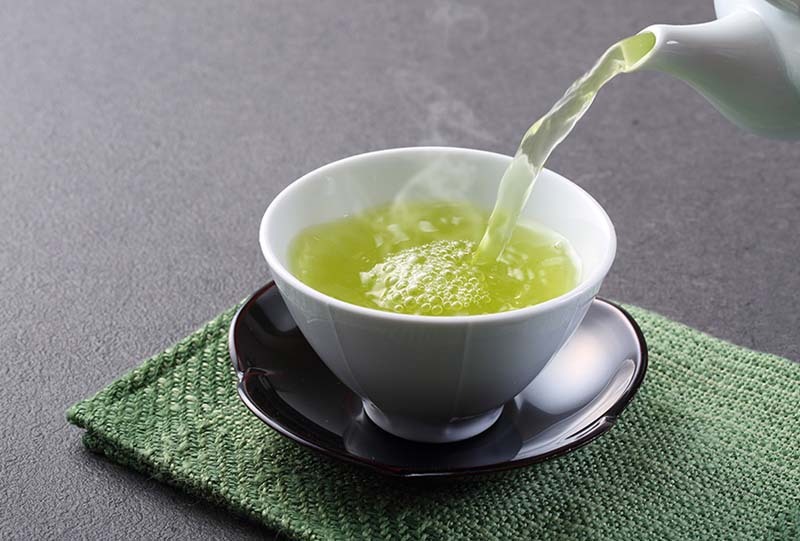 The antioxidants found in green tea, called catechins, have been shown in laboratory studies to slow the effects of free radicals on cancer cells. Catechins reduce the size of tumors, and they may even cause cancer cells to die instead of allowing them to grow and spread. Now, that’s a superfood! The combination of catechins and powerful antioxidants found in green tea work together to help your body fight fat and burn more calories. Plus, green tea is calorie free! Learn more about how to lose weight with green tea here. 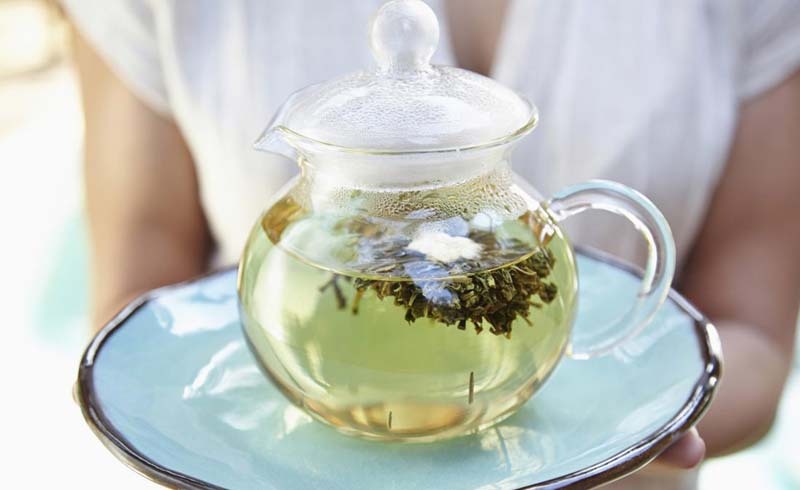 The best way to enjoy all that green tea has to offer is to drink it regularly—approximately 2-3 cups per day. It is best to drink loose leaf tea over using tea bags because loose leaf tea is usually of a higher quality. To add variety to your green tea, you can add a variety of nutritious flavorings, like orange peel, ginger, rose, or jasmine. If tea just isn’t your thing, you might enjoy some other green tea products. Green tea ice cream, green tea smoothies, and green tea cheesecakes might not be quite as effective at fighting cancer, but they sure taste good!